Mix together ground beef, garlic, onion, egg, bread crumbs, salt and pepper and HALF of the tomato sauce mixture. Form meat mixture into 8 meatballs; set aside. Attach grill plates; preheat your George Foreman grill to 400°F. Place slider plate on top of bottom grill plate; place one meatball into each opening. Close grill and cook 4-6 minutes or until meatballs are done (165°F). 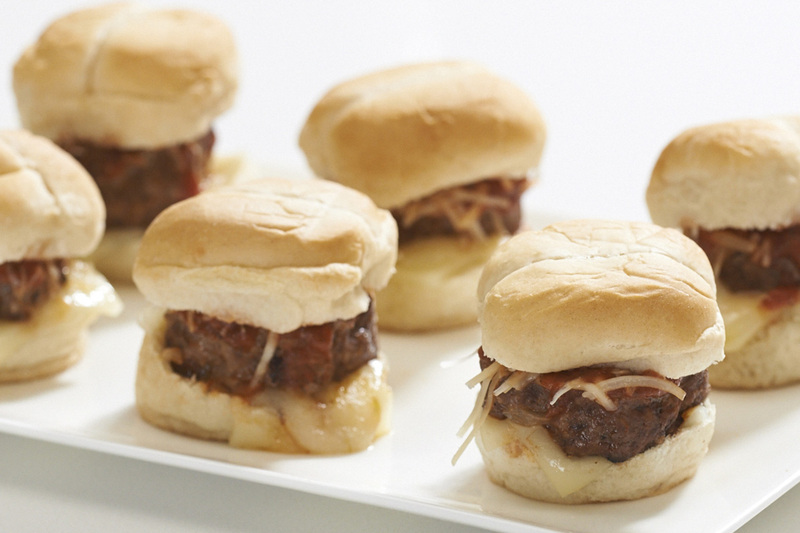 For each slider, place 1 piece of cheese folded in half on bottom of bun. Top with burger and 1 spoonful of sauce. Sprinkle sauce with Parmesan cheese. 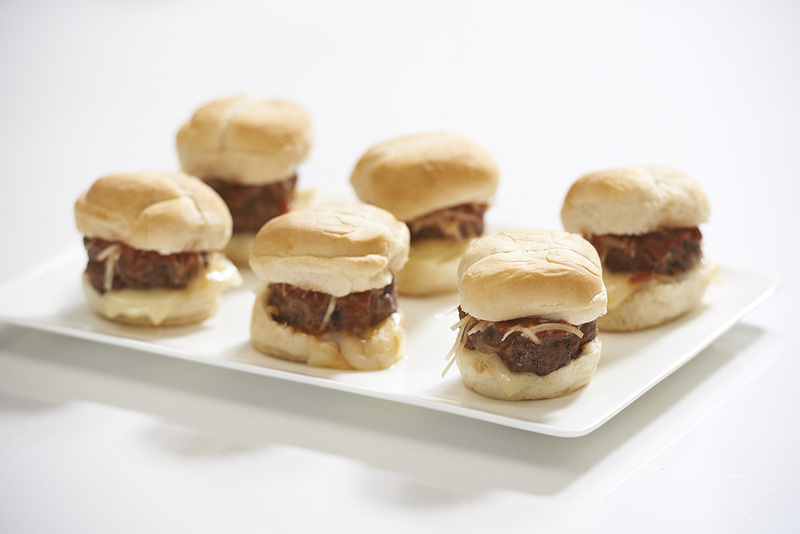 Cover with top bun and secure with party picks to serve.